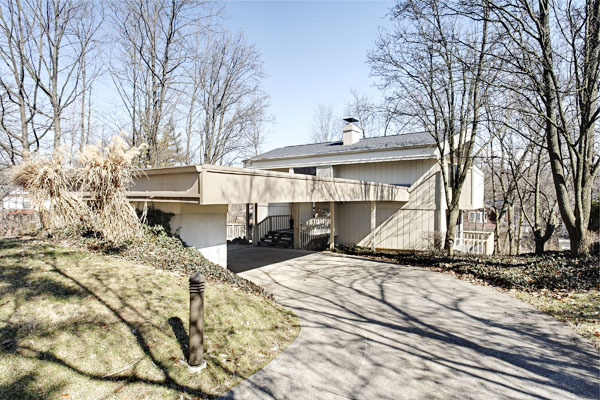 A 1974-built Mid-Century Modern–style home in Clifton. 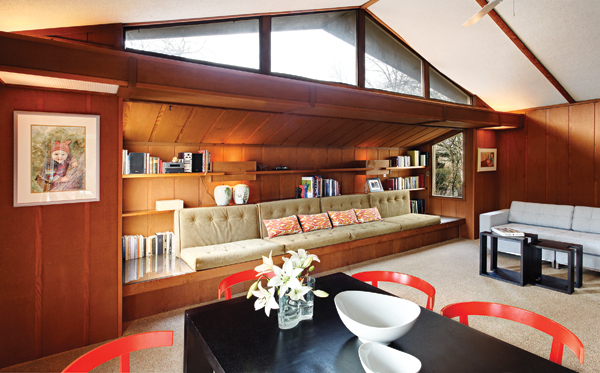 Mid-Century Modern design was all the rage here during the 1950s and ’60s. While Carl Strauss and Ray Roush converted countless hillsides into sleek homesites, and the Dombar brothers dotted the city with their Wright-inspired structures, brothers Walter F., an architect and engineer, and John B. Sheblessy, also an engineer, were busy creating Evening Star Lane, a striking 1950s subdivision of 10 modern homesites on the former Samuel and Mabel Taft estate in Clifton. Walter Sheblessy’s own house on Evening Star sold just last year, but there’s another chance to get into this iconic MCM community: 605 Evening Star Lane, on the market for $325,000. Designed and built in 1974 by William Mumma, the house was not part of the original development, but only architectural purists would know it, says listing agent Susan Rissover. 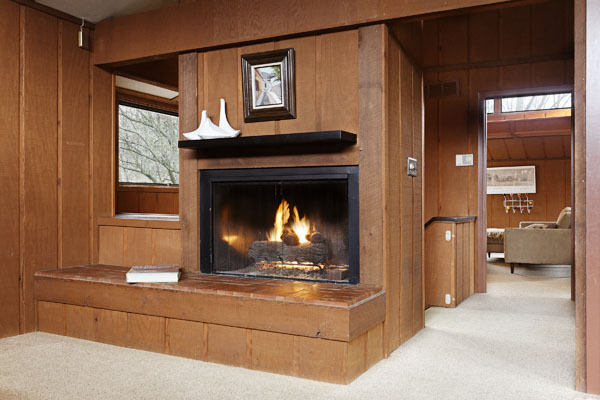 “The materials date-stamp it more than the design,” she notes, citing “rough-sawn cedar [wall paneling] and acoustic paneling on the ceiling” as examples. Quirky design details will satisfy even the most discerning MCM palate; think built-in bookshelves and benches in the great room, a wall-mounted commercial hand-dryer and walk-through shower adjoining the hall bath to the master bath, and a massive deck off the second-story great room with treetop views of neighboring Morrison Avenue. Modular bedrooms on the home’s lower level were designed to afford growing families numerous floorplan options. The current owners easily converted the home’s original two-bedroom layout into three bedrooms with the addition of a painted drywall. It would be just as easy to convert the space into four bedrooms, says the current owner, architect and father-of-three Daniel Kiley, if the new owners need one for their own expanding mod squad. Originally published in the April 2012 issue. Previous articleWhat’s in Dusty Baker’s future?